This is my casual meets night out look. 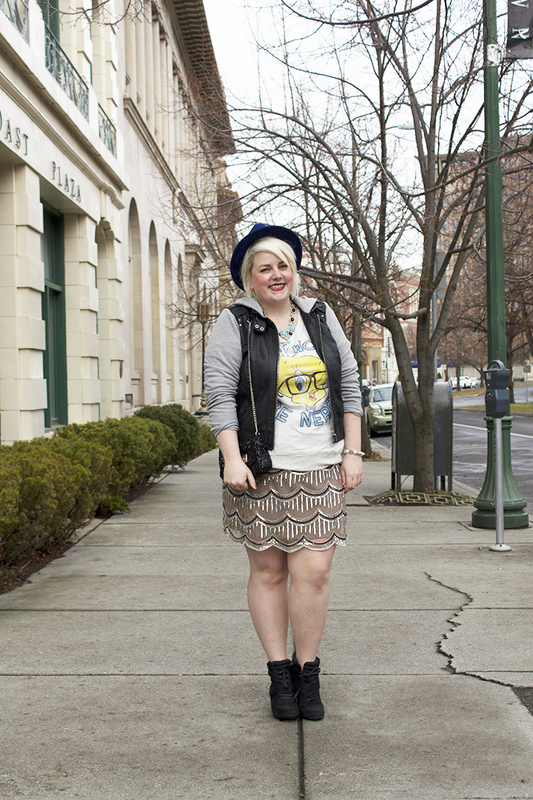 This skirt brings a 1920s flair to the contrast leather jacket and wedge sneakers. I love the idea of dressing this super detailed jeweled skirt up or down. I have been playing with hats lately and am kinda digging the fedora again, especially in this navy blue color.